Edna Fogarty first heard about cannabis in her mid-20s. The Montreal native had recently left a convent in the Northeastern United States, where she was a nun for eight years. She soon found herself in Boston, smoking marijuana for the first time with a group of friends. Today Fogarty, a retired school teacher in Santa Rosa, uses cannabis to ease a variety of ailments like arthritis pain, stress and as a sleep aid. She prefers high cannabidiol (CBD) vape cartridges, which she says she first purchased after her Kaiser physician gave her the go-ahead. She also grows one plant per year for personal use. California residents are allowed to grow up to six cannabis plants annually (per residence) for personal use. Medical patients can cultivate as much cannabis as they need, depending on zoning regulations. Fogarty’s story is one of many in a rapidly growing population of older adults turning to cannabis as an alternative or supplement to traditional pharmaceuticals. 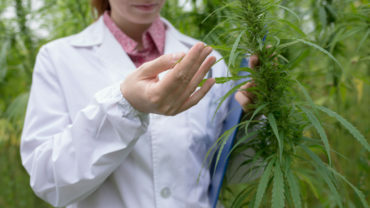 In April 2018, the National Poll on Healthy Aging at the University of Michigan reported that 4 out of 5 older adults support the use of cannabis when recommended by a doctor, and 70 percent of those polled said they would ask their physician about marijuana use if they were diagnosed with a serious health condition. Some studies suggest that 6 percent of adults over 65 were active cannabis users in 2014, a 250 percent increase over the previous decade. 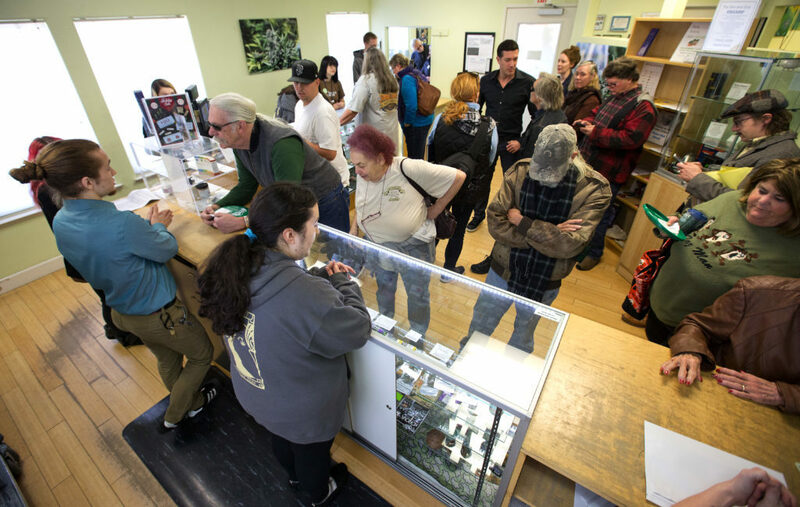 Mitcho Thompson, a Sonoma County cannabis advocate and founding member of Peace in Medicine, says that number may have skyrocketed in California since legalization went into effect in January. 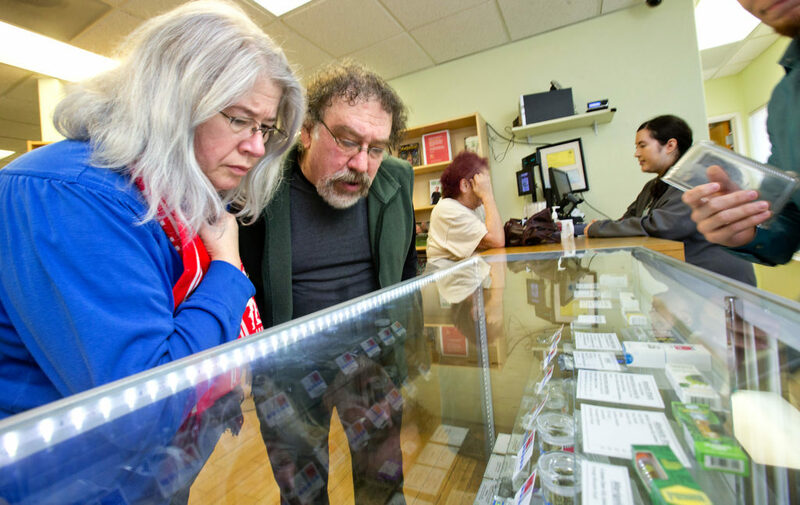 Thompson says New Year’s Day brought a long line of seniors to Peace in Medicine for their first legal cannabis purchases, with roughly three-quarters of the older adults in line visiting the dispensary for the first time. Peace in Medicine, he says, has served a growing number of seniors ever since. Mitcho Thompson is a cannabis advocate and founding member of Peace in Medicine. Thompson serves as the community liaison at Peace in Medicine and is vice president of the Sonoma County Herb Association. With a background in herbal medicine and medical marijuana, he has been teaching classes on the benefits and uses of cannabis for a decade. Thompson has offered classes specifically for seniors for nearly eight years. There are many different ways seniors can use cannabis—smoking, ingesting through edibles or tinctures, vaping and topical application—but seniors should start slow if they have never used it before, says Thompson, particularly with edibles. Thompson recommends cutting up an edible, such as a brownie, into tiny pill-like pieces to experiment with small doses. Edibles can also take a bit longer to take effect than smoking cannabis, so waiting about two hours before eating more is a wise approach. Regardless of how seniors use cannabis, statistics suggest that older folks are warming to it as the stigma slowly fades in post-legalization California. A new cannabis company is even working on permits for a dispensary in Oakmont Village, an active senior community just east of Santa Rosa. Yet, although Oakmont has a monthly Cannabis Club—which hosts guest speakers to discuss the many uses of the plant—the Oakmont Village Association Board of Directors is entirely opposed to a dispensary opening in the 55+ community. Heidi Klyn, a board member and an organizer of the Oakmont Cannabis Club says that the majority of our homeowners there are opposed to it as well. “There are petitions going around to oppose this and Ann Welsh, the project planner, has received 400 emails in opposition,” says Klyn. Fogarty, who lives in a senior mobile home park, says she has noticed more openness around cannabis use. 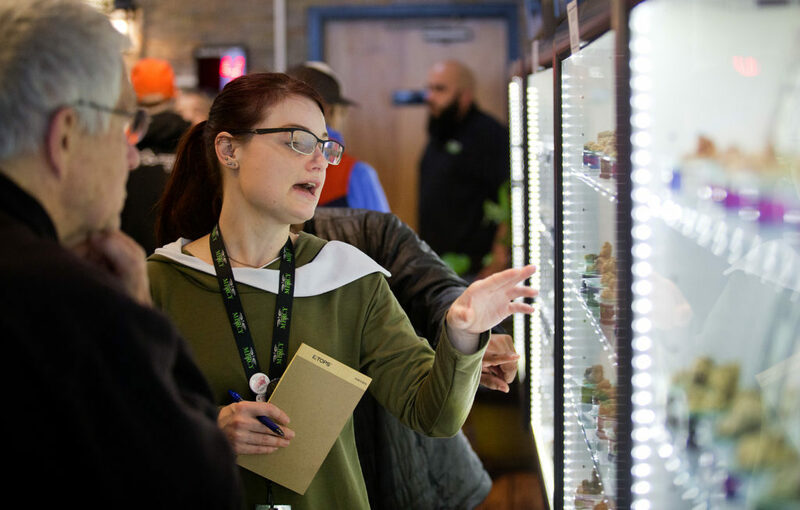 Editor’s note: This story has been revised to more accurately reflect the opinions of Oakmont Village residents and the Cannabis Club toward a proposed dispensary.